Sabian HH Remastered Garage Ride 20"
Sabian HH Remastered Thin Crash 17"
Sabian HH Remastered Thin Crash 19"
Sabian HH Remastered Thin Crash 20"
Sabian HH Remastered Thin Crash 22"
Sabian HH Remastered Med. Thin Crash, 17"
Sabian HH Remastered O-Zone 16"
Sabian HH Remastered O-Zone, 18"
SABIAN HH Remastered Garage Ride 18"
Since Sabian was founded in 1982, the hand-hammered HH series has been the epitome of individual and professional sound. This classic of modern drumming has now been reworked by Sabian and the result is the HH Remastered cymbals: fast response, combined with warm sound and wonderful playing characteristics make HH Remastered cymbals the ultimate choice for contemporary and professional sound. Comparable to the renewal process of the HH Cymbals is the "remastering" of a classical album. The sound was rounded off again and complexity was added to each cymbal to make the frequency mix of the HH Remastered series even more sophisticated and harmonious. The crashes are even thinner and now impress with faster response and warm crash, the ride cymbals of the HH Remastered series sound even more traditional and defined than their predecessors. The HiHats have also been noticeably renewed and now feature a more precise response and a warmer, more precise sound. 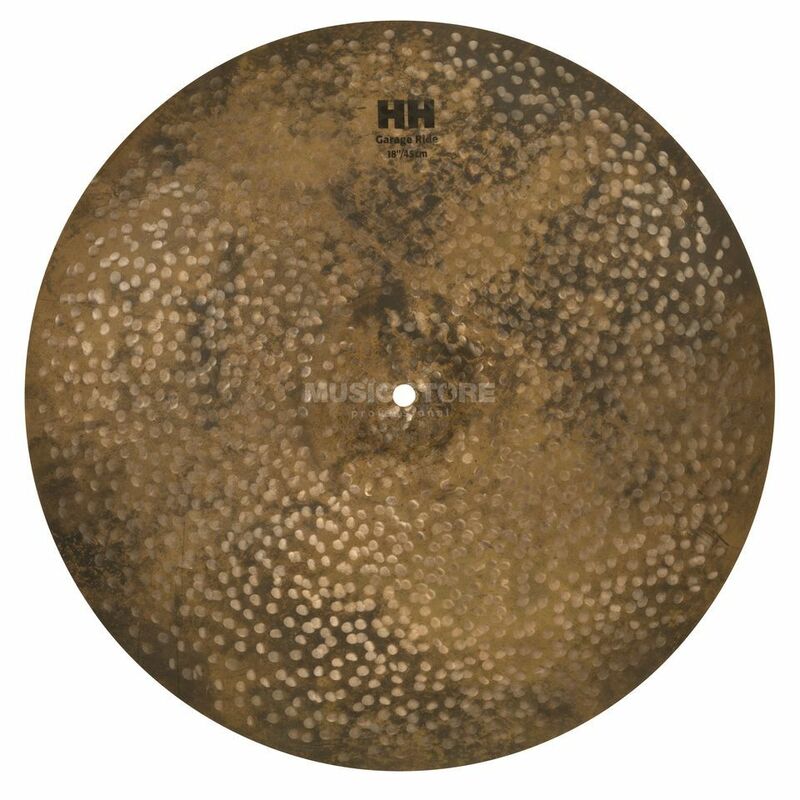 The pool profiles have been revised and also the hammer technique is a better one: HH Remastered cymbals are shaped with 3000 - 4000 hammer blows before the drummer finally has the pleasure to play these cymbals.